NEW DEDICATED DRY EYE CLINICS AT DRAGE AND TOZER!! Home » Business » NEW DEDICATED DRY EYE CLINICS AT DRAGE AND TOZER!! Are your symptoms often worse on waking or when reading, watching TV or using screens? Contact us for a Dry Eye Assessment with (…)Dawn Jordan our contact lens specialist. I would like to highly recommend Dawn Jordan at the brilliant Drage and Tozer opticians. 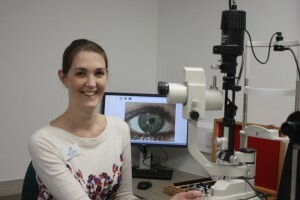 The dry eye clinic was a revelation Dawn took the time to fully explain and recommend what to do. After doing what Dawn said my eyes feel so refreshed, they now feel so comfortable also no more blurred vision it’s so clear!! I urge any one with the feeling of dry irritable eyes to visit Drage and Tozer. All staff are wonderful and care. Can’t recommend enough! !